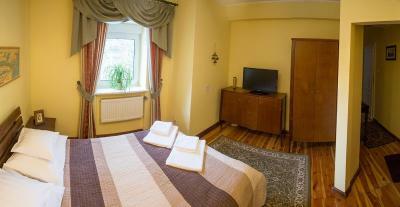 Lock in a great price for Szwajcarka – rated 9.5 by recent guests! 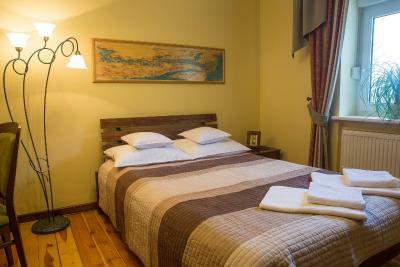 If you love Nature, appreciate tasteful interior design, should you wish for a friendly welcome, like a wonderful breakfast, a safe place to park and excellent wifi, then look no further, you have found the perfect Hotel. This is a great, out of the way place to stay. 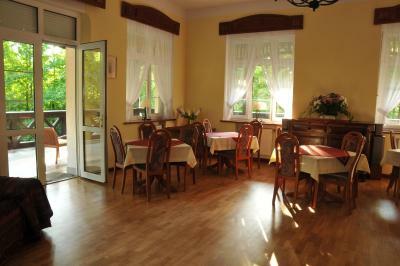 The breakfasts were the best we had in Poland, and the house and grounds were wonderful. It is about a 15 minute walk to the lovely town, but we drove since the weather was rainy and cool. Parking is free and the wifi works fine. I definitely would return. 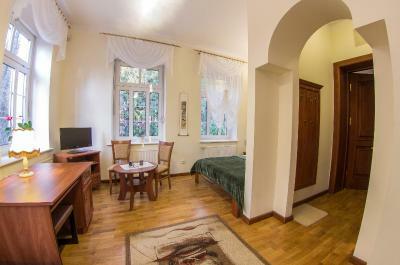 Excellent apartment located in the middle of forest. Surrounded by nature. 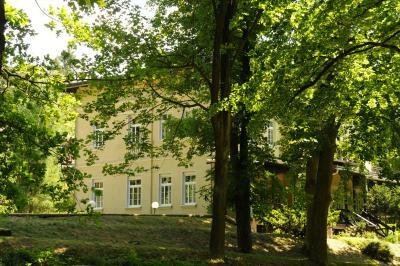 Very nice completely renovated old fashioned big villa. Environment is clean and personal friendly. Good breakfast, parking on the plot. 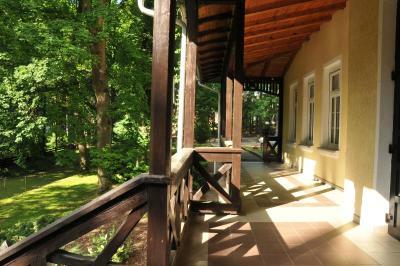 Absolutely amazing place, calm and quiet, set in the woods but still close to the city center of Kudowa Zdroj. 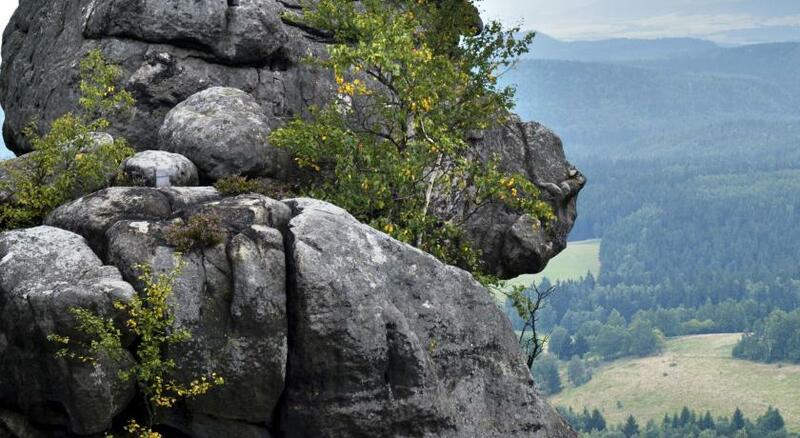 Great starting point for hikes in the nearby mountains. Very broad choice of breakfast, including vegetables. 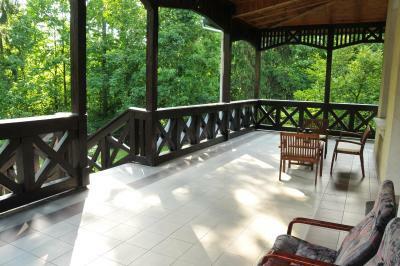 Beautiful villa, tastefully decorated with a period furniture in a quiet location on the edge of the forest, yet only 15 min walk to the center of Kudowa. 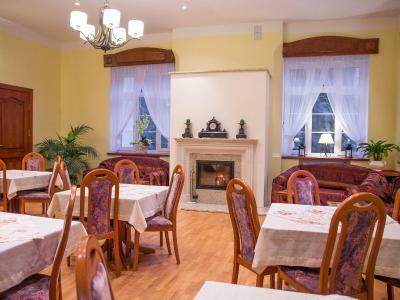 Very good breakfast served in a nice dining room. The owners are very welcoming and helpful and went a few times out of their way to make my stay even more enjoyable. I stayed in a suite with balcony for 7 nights and enjoyed my stay immensely. Cudowne miejsce: pensjonat otoczony drzewami ze śpiewającymi ptakami. Cisza i spokój. Wszędzie czysto i schludnie. Pokoje czyste, gustownie i funkcjonalnie urządzone. Na dole w sali restauracyjnej bez ograniczeń można korzystać z kawy i herbaty. Miła i domowa atmosfera. Śniadaniem można się najeść do syta. Przemili właściciele. Z pewnością tam wrócimy, bo naprawdę warto. Sehr ruhige Lage im Grünen und Wald., aber ohne Probleme mit dem PKW zu erreichen. Sehr gutes, vielfältiges Frühstück, der Kaffee prima. Etwas Obst und O-Saft wäre nicht schlecht gewesen. Bei einem längeren Aufenthalt wäre ein Schreibtisch im Zimmer vorteilhaft. Man kann das Haus unbedingt für einen Urlaubsaufenthalt empfehlen. 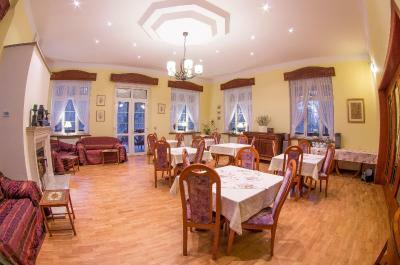 Pyszne sniadanko przygotowane na czas,miła atmosfera,pokoje czyściutkie , dobrze wyposażone,salon restauracyjny bardzo przytulny przez cały pobyt dostep do goracej kawy herbaty ,okolica cicha spokojna w lesie, z dala od zgiełku miasta wszystko na najwyższym poziomie.polecam. Piękny budynek z historią, odrobinę na uboczu, cisza, spokój. Przemiły i bardzo uczynny właściciel. Bardzo smaczne śniadanie. One of our top picks in Kudowa-Zdrój.Szwajcarka, housed in a over 100 years old house renovated to combine tradition with modernity, is located in a quiet woodland part of Kudowa-Zdrój, 0.6 mi from the center of this historic spa town in the Stołowe Mountains. 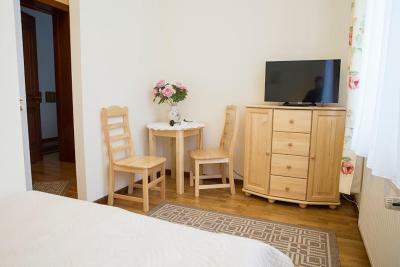 The rooms boast individual décor and wooden furniture. 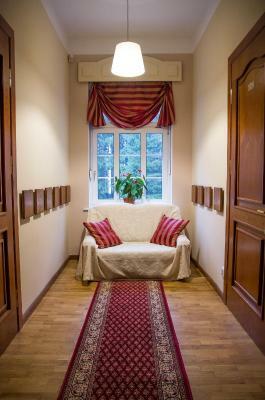 Each is provided with a TV and comes with a private bathroom with a shower. 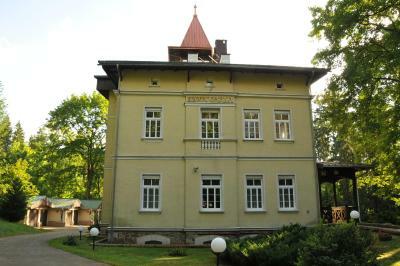 At Szwajcarka you will find a garden, gated and featuring a designated area for bonfires. Guests are welcomed to relax in the shared lounge with tea/coffee making facilities, on the roofed porch or in the billiards room. Other facilities offered include luggage storage and ski storage. The nearest bus stop and taxi stand are 1,150 feet from the property. 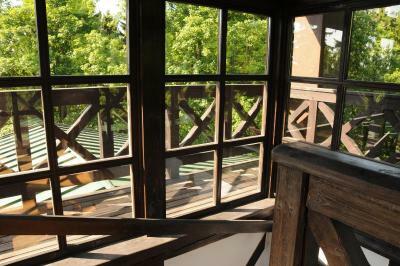 뀐 Located in the top-rated area in Kudowa-Zdrój, this property has an excellent location score of 9.6! 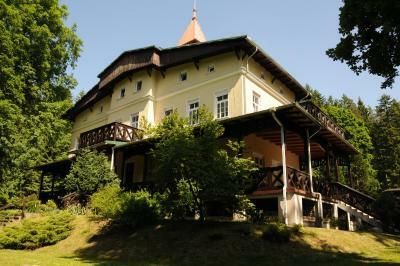 When would you like to stay at Szwajcarka? 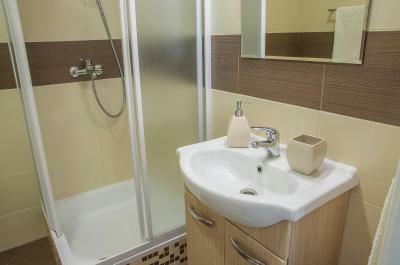 It features a TV and a private bathroom with a shower. 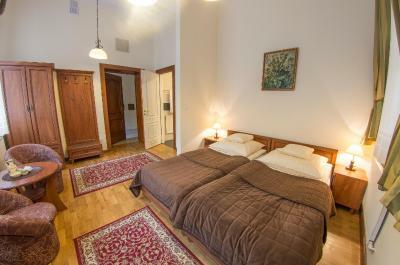 A more spacious room featuring a TV and a private bathroom with a shower. 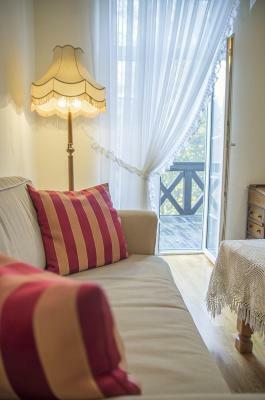 It features a balcony, vintage furniture, a TV and a private bathroom with a shower. 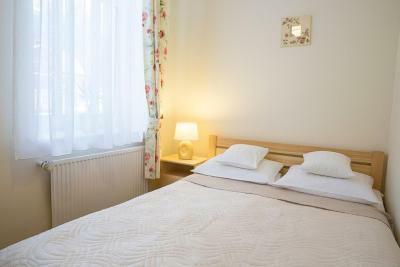 This double room features a kitchenette, kitchenware and seating area. House Rules Szwajcarka takes special requests – add in the next step! 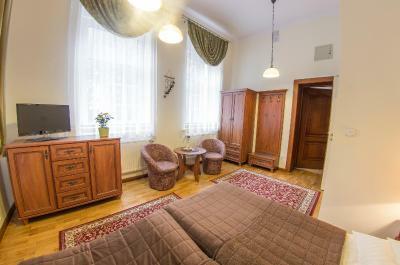 In room safe and a bath robe is recommended for this class of an apartment. That would warrant a perfect 10.